Want A Healthy 'You'? 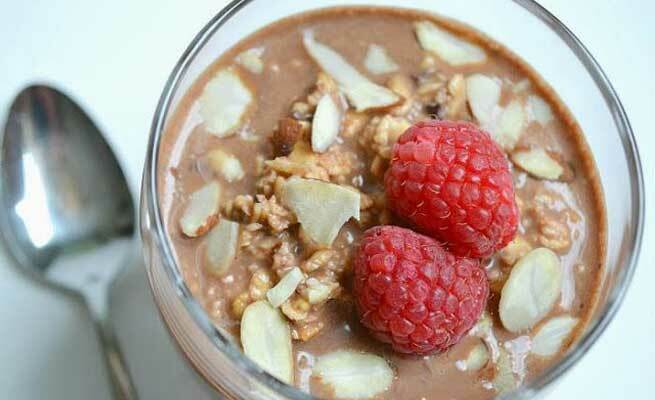 10 Low-Calorie Indian Breakfasts You Will Swear By! 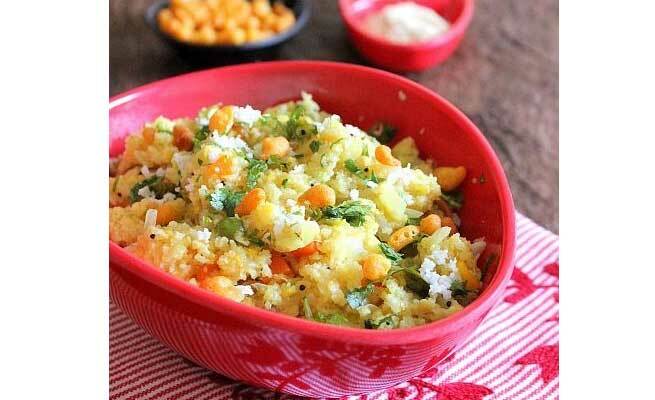 A speciality of west India, poha is a healthy and tasty breakfast dish made of beaten rice. It is a fat-free item and is highly nutritious. Moreover, it is extremely easy to make and takes merely 10 minutes to cook and serve. 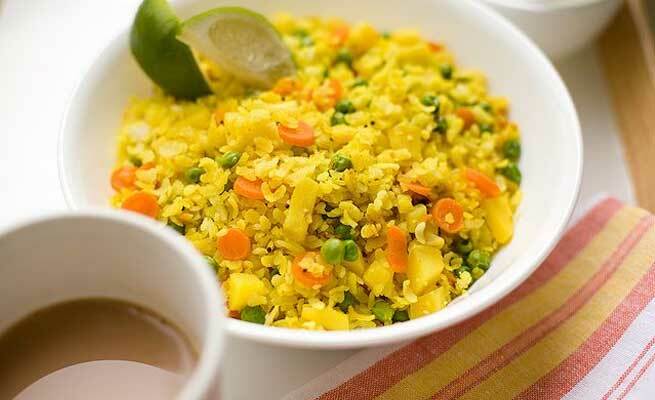 Poha can be made in various ways by keeping the basic method same, which has made the dish popular even across the country. Highlights: Full of vitamins, carbohydrates, and iron; low in gluten, easy to digest, keeps weight under control, provides lots of energy. 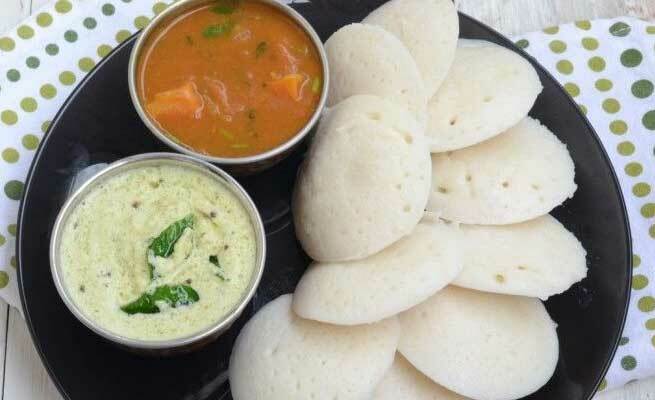 Made of fermented rice and urad dal, Idli is a staple South Indian breakfast dish that is delicious and extremely easy to make. The light yet filling snack has absolutely no oil and only fewer calories. It is a steamed item that takes around 20 minutes to prepare and you can eat it alone or with sambar and coconut chutney depending on your preference. Highlights: Rich in carbohydrates, proteins, fibres, vitamins, iron and calcium; free from gluten, easy on the stomach, aids in weight loss. Originated as a simple South Indian dish, curd rice has become the go-to meal for people all over the country. It is an extremely easy dish that takes hardly 10 minutes to prepare. 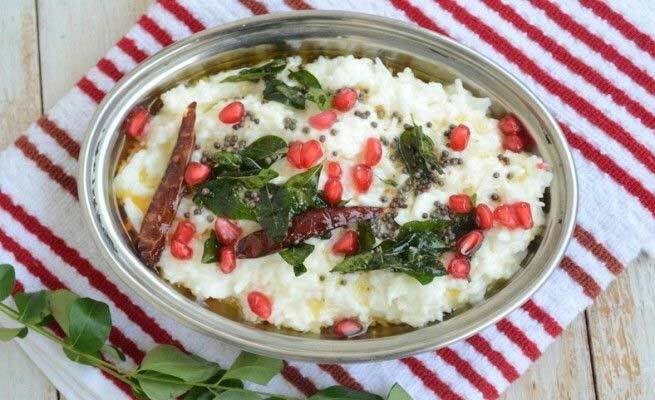 All you need to do is mix curd with rice and cook the mixture for a few minutes with your favourite herbs. It is not only very tasty but also extremely healthy. Highlights: Loaded with carbohydrates, proteins, vitamins, iron and calcium; light on the stomach, easy to digest, boosts immunity, aids in weight loss, cools down the body, reduces stress. An excellent choice for Indian breakfasts, oats are highly nutritious, light yet filling, and very low in calories. It is readily available in the market and takes no time prepare as you can simply douse it in the steaming hot milk and start your day in a healthy way. To spruce up its taste, add fresh fruits and/or chopped nuts to the bowl. Highlights: Enriched with soluble fibres, proteins, vitamins, minerals, essential fatty acids; low in fat, eases constipation, lowers cardiac risks, reduces blood sugar and hypertension, boosts energy, aids in weight loss, gives a better skin. Fresh fruit salad is indeed a delight for people who prefer having low-calorie breakfasts. Though the number of calories can vary based on the types of fruits and the size of the serving, it is always significantly lower than most other common Indian breakfasts. 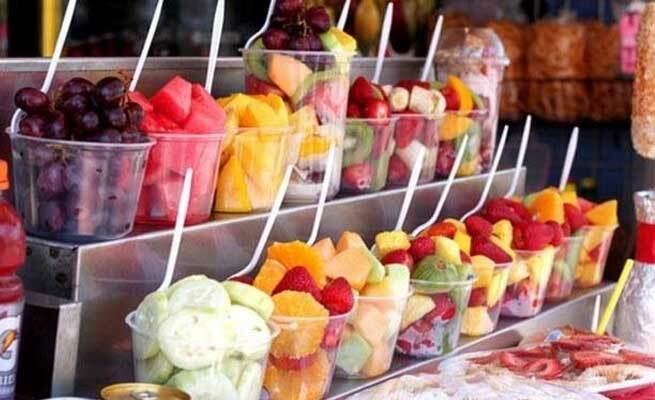 You can munch on your favourite fruits with salad toppings or just have hem standalone with some salt and pepper. It is very filling and becomes ready in just 5 minutes. Highlights: Very high in antioxidants, proteins, vitamins, minerals and fibres; cuts the risk of chronic diseases (hypertension, diabetes, obesity, heart attack, stroke, kidney stones, cancer, bone loss, etc. ), promotes weight loss, supports the pregnancy, enhances energy, keeps skin and hair healthy. Here is another delicious South Indian preparation that is now enthusiastically eaten throughout the country. Upma is a low-calorie, nutritious meal that keeps hunger pangs away and can be prepared in only 15 minutes. 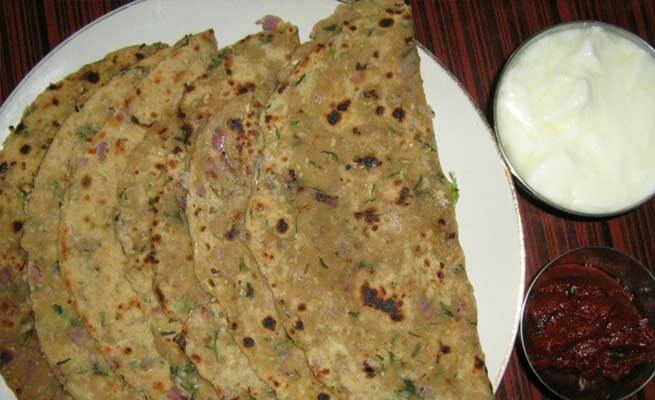 The versatile dish is made of wheat rava and can be modified with nuts, vegetables, etc. based on preferences. Highlights: Offers lots of carbohydrates, proteins, fibres, vitamins, minerals (iron, potassium, sodium, magnesium, phosphorous, zinc, selenium, etc. ); improves immunity, boosts energy, takes care of kidneys, heart, bones, and nervous system; treats anaemia. 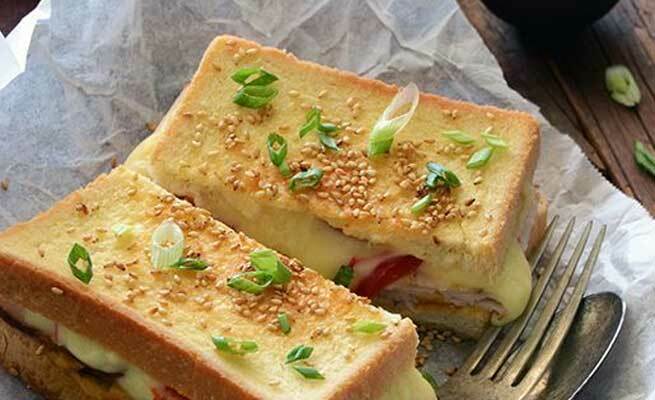 Vegetable-filled sandwiches are a most welcome breakfast for working Indian couples as they have less time to prepare a healthy breakfast and this one takes not more than 10 minutes. Based on the methods of processing followed and the veggies as well as other ingredients used, these sandwiches can vary in calories. But if you stick to the healthiest choices, you are going to enjoy the maximum benefits. Highlights: Packed with fibres, antioxidants, carbohydrates, and vegetable proteins; low in saturated fat, easy to digest, gives enough energy. A speciality of India, parathas are a versatile item that can be made plain or stuffed based on individual choices. And when plain parathas cooked with less oil are served with fresh plain curd, it becomes a yummy low-calorie breakfast. You need only 15 minutes to prepare this meal and it is absolutely filing. Highlights: Provides lots of vitamins and minerals; helps in weight management, easy to digest, keeps metabolic disorders away, prevents gallstones in women. Cereals are readily available in India and provide an excellent source of less fat and more mineral content. Hence, a cereal breakfast is an absolute delight owing to its many advantages. 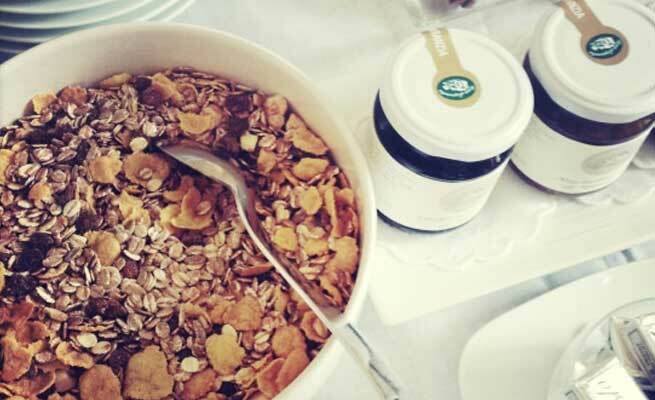 Pick a wholesome cereal that will keep you filled for a long time and add low-fat or non-fat milk or yoghurt to it. Your breakfast will be ready in no time. Highlights: Hgh in proteins, fibres, calcium, and sodium; low in sugar, prevents obesity, enhances gastrointestinal health, lowers the risk of hypertension, high cholesterol, and colon cancer. 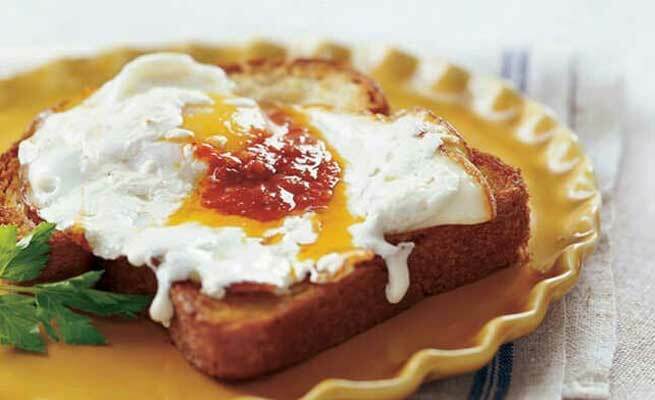 Egg-lovers will find French toast to be the ultimate choice for breakfast. When made with fresh bread and other nutritious ingredients including egg, milk, cinnamon, nutmeg, etc. by using very less oil, it not only becomes low in calorie but also really tasty. Above all, you can make it only in 10 minutes. Highlights: Rich in carbohydrates, proteins, fibres, vitamins, and sodium, increases energy level, keeps bones healthy, enhances the functionalities of the nervous system.